One year after the cancellation of VC Summer, utilities are still cleaning up the mess. The Scana-Dominion merger is moving forward, while tensions over VC Summer persist. In a vote held exactly one year after the VC Summer nuclear expansion was scrapped, Scana shareholders voted to merge the company with Dominion Energy. The two companies engineered the merger to staunch some of the financial bleeding after the cancellation of the VC Summer project, a joint undertaking of Scana and Santee Cooper. Partners said the nuclear project could cost $25 billion to complete, and its price had already ballooned to $9 billion when work stopped. Scana’s vote, which required two-thirds approval, is the latest in a set of hurdles the merger must clear. After gaining approval from the Georgia Public Service Commission, the Federal Energy Regulatory Commission and now Scana shareholders, the two companies still need the OK from regulators in both Carolinas and the Nuclear Regulatory Commission. Dominion must also cope with legislative decisions that threaten how much of the project’s cost utilities can recoup from customers. Under the $14.6 billion proposed merger, Dominion has said it would return $1.3 billion to customers of Scana subsidiary South Carolina Electric & Gas. Customers would also only continue paying for the failed nuclear project for 20 years, rather than the five or six decades proposed by SCE&G. But South Carolina is still sorting out what customers will and will not pay for the dead project. VC Summer adds $27 a month to the bill of the average SCE&G customer. Earlier this month, the state's legislature offered SCE&G customers a temporary 15 percent rate cut retroactive to April 1, doing away with $30 million of the $37 million South Carolina consumers still pay every month for VC Summer. Another law requires the PSC to decide on a rate request from SCE&G and Dominion by December 21, replacing the cut rate. Lawmakers also repealed a 2007 state law that allowed Scana to keep collecting on the project even though it was canceled. SCE&G has since sued to block the temporary rate cut, and Dominion has called the legislation a “high-stakes game” that threatens the deal. But in reaction to the vote, Scana continued to frame the merger as the best option for ratepayers. “We believe the merger with Dominion Energy offers the most comprehensive solution for our customers,” said Maybank Hagood, Scana’s chairman of the board of directors, in a statement. Cindi Ross Scoppe, an editor for South Carolina’s newspaper The State, suggested the merger is also a deal shareholders can't refuse. “Stockholders are delusional if they think they’re going to get a better deal, since it’s highly unlikely that Dominion will be able to collect as much money from ratepayers as the company assumed it would when it offered to buy Scana,” she wrote. Though the merger looks to be moving forward — Dominion signaled its intention to push ahead even with the recent changes in legislation — negotiations surrounding VC Summer are still bogged down with controversy. Recent revelations indicate that Scana maintained a $110 million trust to support its executives through the sale of the utility, even while charging customers millions. Dominion and Scana also reportedly attempted to sway lawmakers away from the rate cut by offering larger immediate refunds to customers. Lawmakers demurred. The State notes there are at least 15 VC Summer-related local and federal lawsuits against Scana. Several could impact the utility’s future and how the merger proceeds. Criminal investigations into whether Scana misled stockholders are also underway. Though South Carolina’s nuclear struggles are perhaps the most high-profile, the state is hardly alone in grappling with existing and future large-scale nuclear projects. In May, Minnesota failed to pass a controversial law offering Xcel preapproval for nuclear costs. 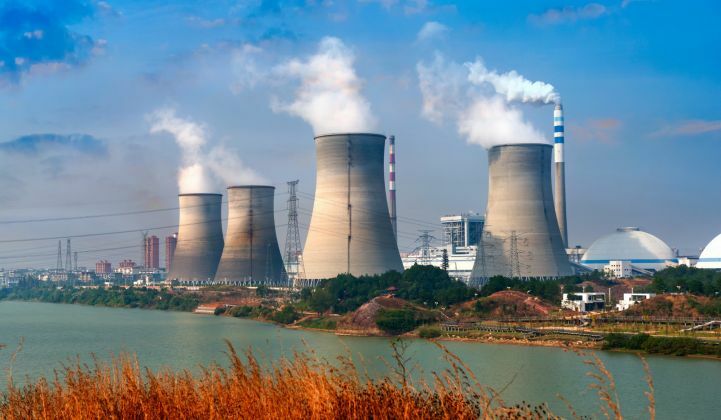 States including Illinois, Maryland, New Jersey and New York are currently negotiating details related to nuclear plants and their eligibility for zero-emissions credits. Meanwhile, construction at Georgia's Vogtle project continues, and on Tuesday a developer said he had a plan to finish an idled Alabama project called the Bellefonte Nuclear Plant. And several days before the anniversary of VC Summer’s cancellation, Duke Energy lauded the 45th birthday of its Oconee Nuclear Station located in Seneca, South Carolina — about 120 miles from the failed project.